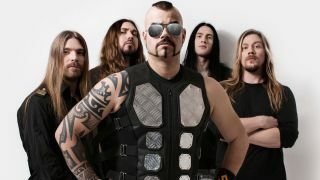 Sabaton have announced release details of their eighth album entitled The Last Stand. It’ll launch on August 19 via Nuclear Blast, and follows 2014’s Heroes and recent live package Heroes On Tour. A final tracklist will be made available in due course – but the band have issued the cover art, which was created by the Swedish outfit’s long-term collaborator Peter Sallai. Bassist Par Sundstrom says: “We had the idea to make an image reflecting soldiers of different times representing the different historical battles we sing about on the new album. This only reveals a small part of the album topics though. “We always have several ideas for albums to work with. Since there are countless different views and angles of war, we will unfortunately never run out of ideas. Sabaton will head out on tour next month for a run of dates.